I have a complicated relationship with mustaches. 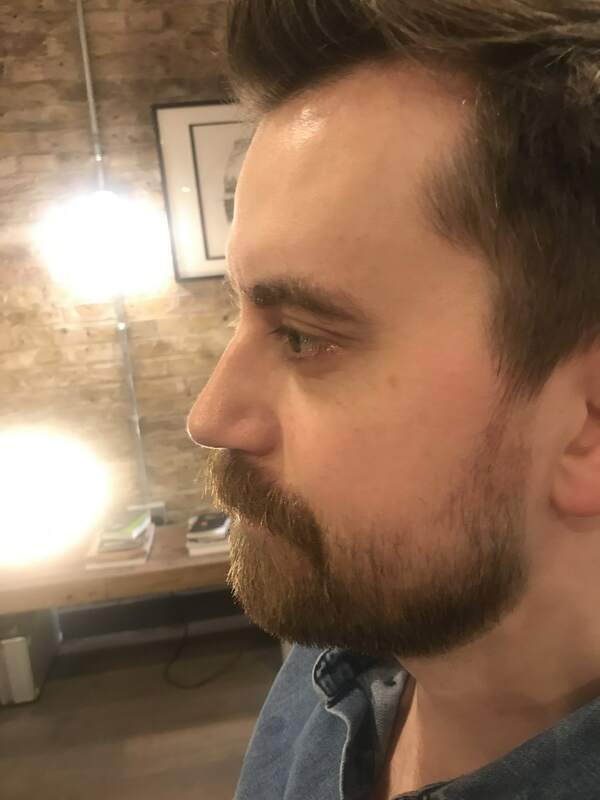 I’ve had a beard for over 15 years, but there’s a little voice in the back of my head that keeps prodding me towards its smaller, trickier cousin. When I think of mustaches, I picture Sam Elliott’s glorious effort, simultaneously rugged and dashing, like a cowboy with a tendency for the theatrical. The reality, however, whenever I’ve even slightly shifted my weight in that direction, is something closer to a morally suspect second-hand car salesman. 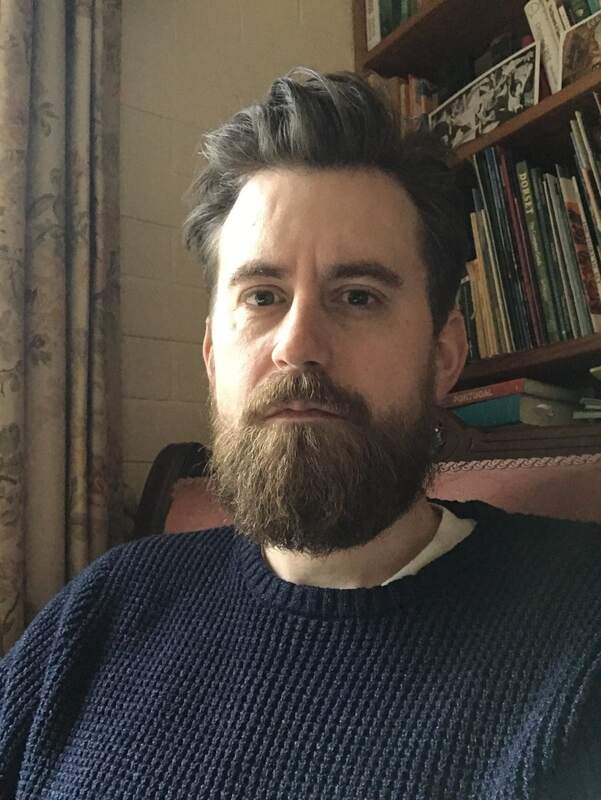 Still, the inclination won’t go away, so finally fed up of the increasing amount of facial real estate taken up by my beard, I decided to take the plunge properly. Mustaches are starting to creep back into stylistic acceptability. Beards have gone from the territory of outsiders to being commonplace, so anyone who likes to stand out a bit is forced to try something a bit different. 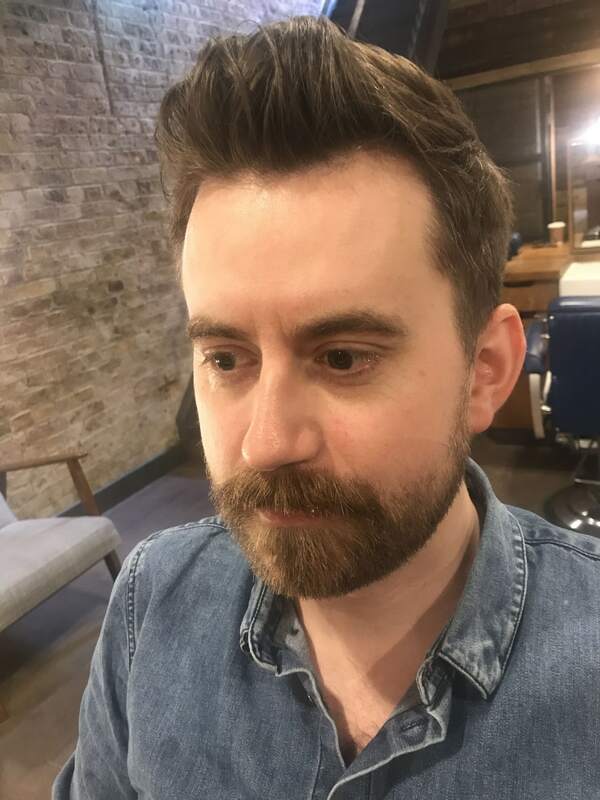 I enlisted the help of our friendly barber Sam Norsworthy (from Ruffians in London’s Marylebone) to oversee my transition from beardy weirdo to ‘tached terror. 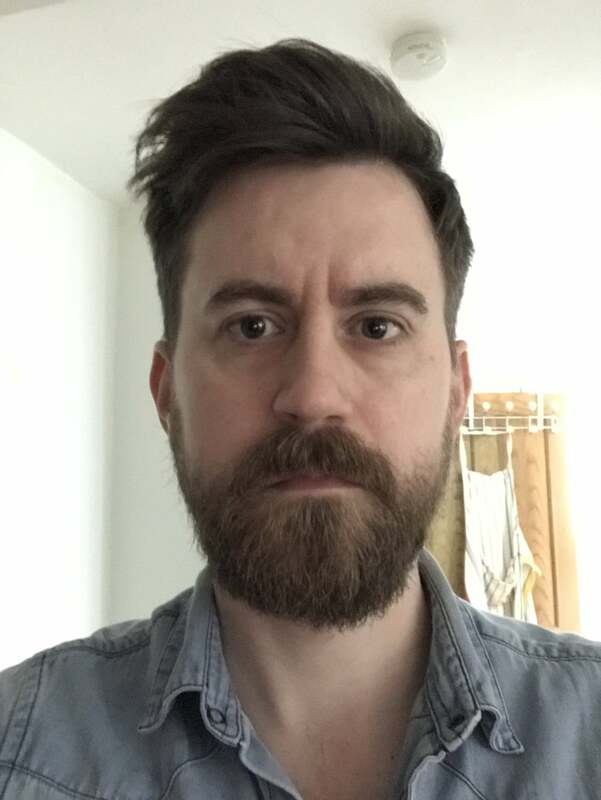 It turns out there’s a huge difference between trimming your beard yourself, just leaving the upper lip area, and going to a professional. Sam’s first piece of advice, which proved golden, was to ease into it: clean shaving my face – save for the mustache – would just look like I’d lost a bet or was raising money for charity and had gotten my months mixed up. We decided on what’s known in some circles as a ‘beardstache’, a decent lip-tickler with a heavy growth of stubble left elsewhere. The results are subtle and closer to the goal than any of my self-inflicted attempts. Most people don’t even notice I’ve a ‘tache, instead pointing out that there’s less beard than normal. This is a key step on the road to mustachedom; grow the beard and trim it back. Growing a mustache from scratch will just make you look like you’re 13 all over again. His work done, Sam took a few minutes to answer some vital questions on mustaches. ​Are you seeing an increase in moustaches coming into the shop or are they still something of a rarity? Somewhat, Men are becoming bolder with their facial furniture choices in general, however the ‘tache will always remain on the backfoot. 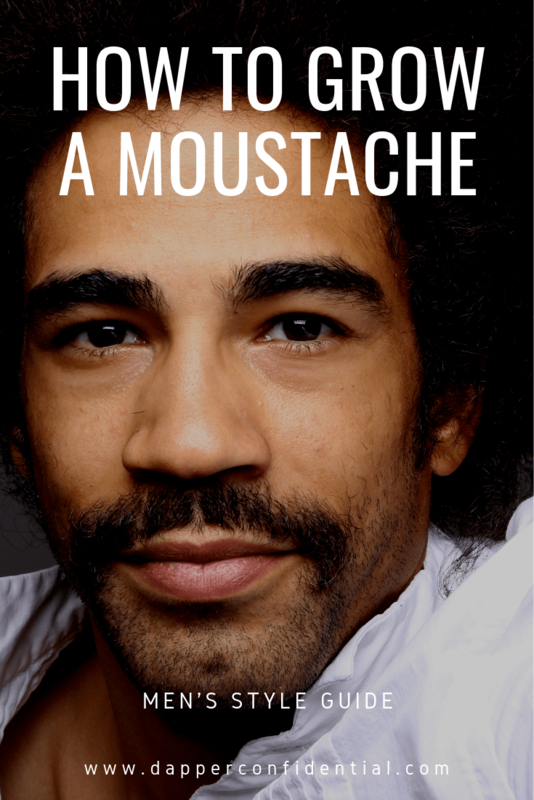 Unfortunately, the ‘tache has acquired more of an comedic value in recent times and most people tend to only see them as a charity fund raising idea or reserved for the more outgoing of gentlemen. Long gone are the days of Burt Reynolds wearing it proudly! Do you think we’ll get to a point where they’re as popular as beards? I hope so, I don’t think we’ll see them at the forefront for a while. Unfortunately, this generation of mo’ growers still associate them with pictures of that dodgy uncle at your christening or their geography teacher. Not all hope is lost though, I predict we will see is the ‘tache-beard combo making more of an appearance. It’s a water-testing start to “Mo-Life” that can look great! What’s your advice for someone who’s considering growing a moustache? Don’t try and achieve the unachievable. Some ‘taches grow differently to others. Find a style you like and look at the hair; is it similar to yours? Personally, I have very straight facial hair so the big bushy broom handle (a la Tom Selleck) doesn’t work however I still have plenty of options. Also, keep it maintained; hairs in your mouth and on your lips aren’t going to win you any fans, least of all with your partner. 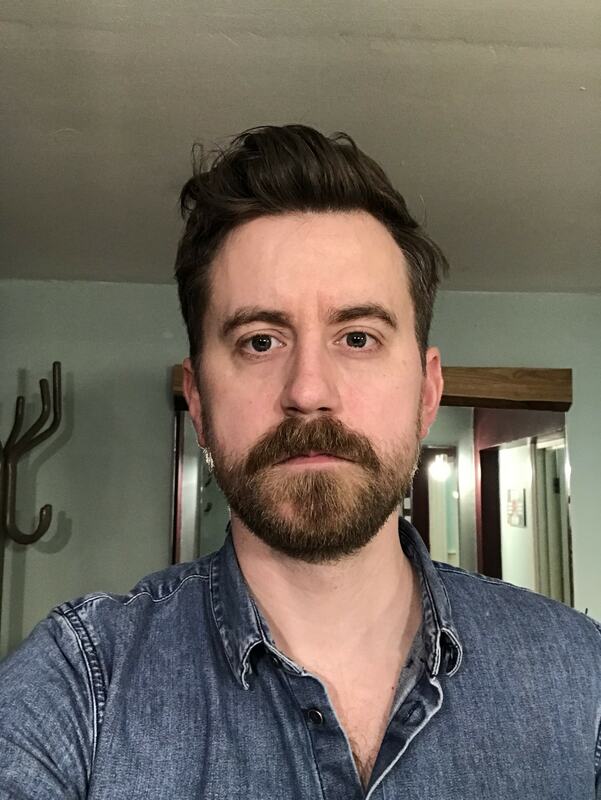 If you’re trimming a mustache at home, are there any important dos or do nots to keep in mind? Comb it through before trimming anything. I’d suggest combing from the middle outward and then remove any of the hair over the lip. Be careful not to take too much from the bottom edge – there shouldn’t be daylight between mo and lip. Are there any mustache style icons who really stand out to you? I was always a big Burt Reynolds fan, He rocked it with pride and oozed manliness with it. In more modern times James Franco has never been scared of a cookie duster and looks great for it. More more celebrity mustache inspiration. 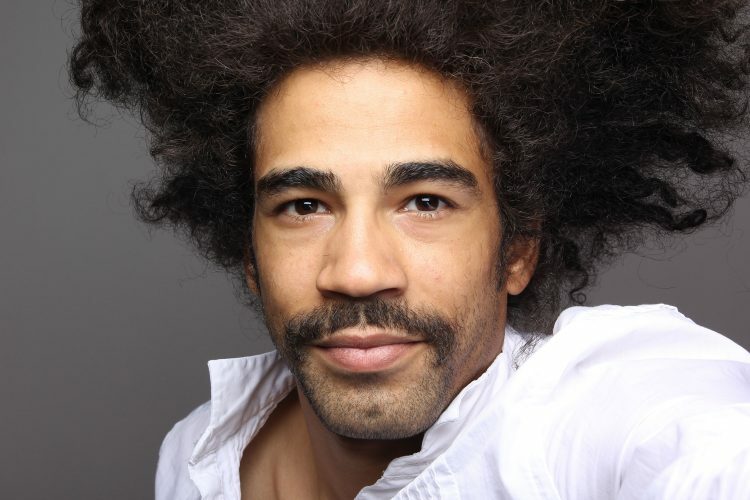 Are there any must-have products for caring for and grooming a ’tache? Depending on the style you may need some mo-wax to smooth it out or style the ends. Use sparingly however – no one wants a sticky lip.